The Commonwealth of the Philippines was attacked by the Japanese Imperial Army on December 7, 1941 nine hours after the attack on Pearl Harbor (the Philippines is on the Asian side of the international date line). 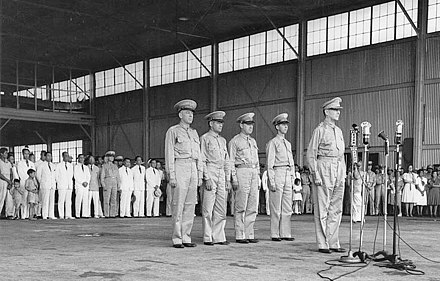 The United States of America controlled the Philippines at the time and possessed important military bases there. 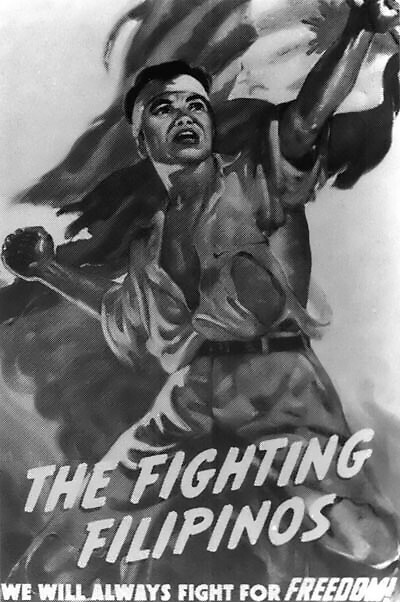 The combined American-Filipino army was defeated in the Battle of Bataan and the Battle of Corregidor in April 1942, but guerrilla resistance against the Japanese continued throughout the war. Uncaptured Filipino army units, a communist insurgency and supporting American agents all played a role in the resistance. Due to the huge number of islands, the Japanese never occupied many of the smaller and more minor islands. Japanese control over the countryside and smaller towns was often tenuous at best. ↑ Saburo Ienaga (16 June 2010). "The Greater East Asia Co-Prosperity Sphere: Liberation or Exploitation?". Pacific War, 1931–1945. Knopf Doubleday Publishing Group. pp. 153–180. ISBN 978-0-307-75609-1. ↑ "Imperial Japan". History. AETN UK. Archived from the original on 17 September 2016. Retrieved 14 November 2014. 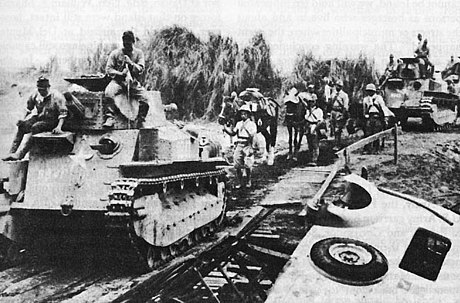 Wikimedia Commons has media related to Philippines in World War II .